AWS customer case studies and stories about enterprises migrating to the AWS cloud. AirAsia is Asia's leading low-cost airline with it's regional headquarters based in Malaysia. AirAsia flies to over 120 destinations across Asia, Australia and the Middle East with an estimated 60 million pax flown annually. AirAsia utilises services such as Amazon CloudWatch, AWS Lambda and AWS X-ray which offers detailed performance insights and boosts operational efficiency. Since moving its website and booking platform to AWS, they have been able to better cope with customer demands; auto-scaling to receive almost 10 million to 40 million requests per day on normal and peak seasons respectively. Amazon Advertising Engineering and Development (AED) increased throughput and avoided a three-year project to rebuild performance monitors and management tools by shifting data held in Oracle databases to Amazon RDS. AED builds, manages, and scales the technologies that undergird Amazon's programmatic advertising offerings. The new solution uses PostgreSQL relational databases that are fully managed by Amazon RDS, with Amazon S3 for storing backups. Amazon migrated its Item Master Service from Oracle to Amazon DynamoDB to improve availability and scalability, reduce the operational burden, and improve utilization. Amazon is the world’s leading online retailer and provides a wide range of cloud services through its Amazon Web Services (AWS) division. The company used AWS Database Migration Service to migrate 150 TB of data in just two months with zero downtime, and now relies on Amazon DynamoDB to process more than five billion catalog updates every day without significant manual effort. Amazon.com migrated Amazon Wallet Service from Oracle to Amazon Web Services to reduce latency, increase scalability, and reduce management complexity. Amazon moved more than 10 billion records from Oracle to Amazon DynamoDB to reduce latency by 50 percent. Ambra Health used AWS to expand its SaaS medical imaging data platform to five new countries, meet strict data security requirements, and grow its domestic business. The company provides a SaaS platform for medical image sharing that is used by hospitals, medical groups, imaging centers, and health information exchanges. Ambra Health runs its PACS solution in AWS, relying heavily on Amazon EC2 and Amazon EBS. Using AWS, AOL has been able to close data centers and decommission about 14,000 in-house and collocated servers, move mission-critical workloads to the cloud, extend its global reach, and save millions of dollars on energy resources. AOL is one of the original Internet companies and today has several lines of business, including digital advertising, multiple web properties, and membership services. It uses a broad range of AWS services, such as AWS Lambda for creating serverless architectures, and uses varieties of Amazon Elastic Compute Cloud (Amazon EC2) instances, powered by Intel Xeon processors, to carefully manage its costs. It also leverages AWS for hybrid scenarios for particular workloads. Atlassian uses AWS to scale its issue-tracking software applications faster than before, provide improved services to tens of thousands of global customers, and enhance its disaster recovery and availability. The Australia-based organization provides software that helps developers, project managers, and content managers collaborate better. Atlassian uses Amazon EFS to support customers deploying JIRA Data Center on AWS, and also runs an internal issue-tracking application platform on AWS. By using AWS, Atresmedia has created two new platforms that have grown its digital user base by 25 times to 5 million. The global media group caters to an international audience of 73 million people and already operates six TV channels and four radio stations. 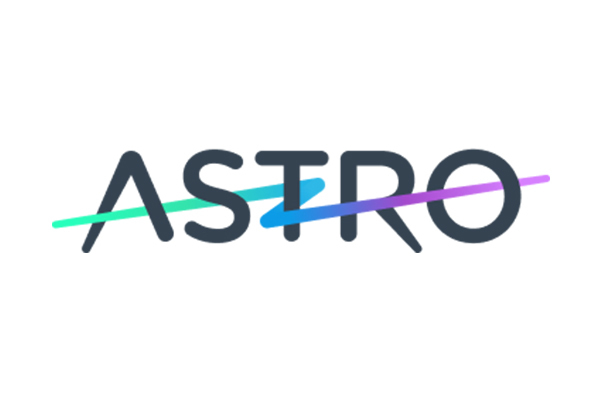 To attract younger, more digitally savvy users, it launched its AtresPlayer and Flooxer channels by using Amazon EC2 and Amazon CloudFront to deliver faster television-streaming experiences. Australia Finance Group (AFG) has increased its investment in innovation to better grow its business and compete against fintech startups by reducing its annual IT operational spend by AU$500,000 (US$372,150) using AWS. According to the Mortgage & Finance Association of Australia, AFG is one of the largest mortgage aggregators in the country. The company has migrated its main IT systems to the AWS Cloud, including a mission-critical Oracle Siebel CRM platform whose web and application servers run on Amazon EC2 instances and whose data warehouse is delivered using Amazon RDS. Using AWS, Autodesk can scale the use of generative design to run hundreds of simulations in one hour instead of several hours or days. Autodesk develops software for the engineering, design, and entertainment industries. Using services including Amazon Relational Database Service (Amazon RDS) and Amazon Simple Storage Service (Amazon S3), Autodesk can focus on developing its machine-learning tools instead of managing infrastructure. Brian Mathews, VP of platform engineering at Autodesk, spoke onstage at re:Invent 2017. Autodesk decreased turnaround time for new AWS accounts from two weeks to 10 minutes by building Tailor—a serverless, automated solution for “tailor-made” account creation—in the AWS Cloud. Autodesk sells software products for the architecture, construction, engineering, manufacturing, and media and entertainment industries. Tailor uses multiple AWS services, including AWS Lambda for its compute processes, Amazon DynamoDB as its persistence layer, and Amazon API Gateway. PayEasy saves TWD$25 million (US$810,000) and two hours of management time a day by migrating its Oracle RAC database to the AWS Cloud. PayEasy is a leading online retailer in Taiwan, with 5 million registered users. When the existing on-premises infrastructure for PayEasy’s mission-critical Oracle database was going end-of-life, the company migrated the database to the AWS Cloud and Amazon RDS for Oracle, with AWS WAF as the web firewall. By using AWS, Air Works has improved the performance of its operations by 84 percent and its response times by 160 percent. Air Works is one of India's largest independent aviation maintenance repair and overhaul companies. The company uses AWS to run all of its operations, including compute, identity and access management, and storage. Airport Nuremberg needed a flexible and scalable website to handle demand during peak periods. Infopark GA, an AWS partner, used AWS to deliver a highly available and secure website for Airport Nuremberg. The airport estimates saving 60-70% compared to previous web hosting costs. Avianca Brasil, a Brazilian domestic air carrier with a reputation for passenger comfort and competitive pricing, uses AWS to host content for its marketing department. AWS provides a secure environment at an estimated 60% of the cost of an on-premises solution. BrightRoll is an independent video ad technology platform for digital video advertising across the web, mobile devices, and connected TV. Using AWS, BrightRoll has created comprehensive digital advertising solutions that deliver petabytes of data to more than 80 of the top 100 US advertisers and 18 of the top 20 advertising technology companies. BurdaStudios delivers news 75 percent faster by using AWS technologies, supporting its leading celebrity website. Bunte.de is the most popular gossip portal in German-speaking Europe, attracting up to 35 million visits a month. By using a microservices architecture based on Amazon ECS and AWS Lambda, the website easily scales to cope with double the traffic during high-profile news events such as royal marriages or celebrity deaths. ConnectWise uses AWS to easily detect and resolve application performance issues, troubleshoot problems in minutes instead of hours, and reduce latency and other challenges for customers. The organization provides an online business-management platform that IT services enterprises use to run their organizations more efficiently. ConnectWise uses AWS X-Ray to debug and monitor applications, and Amazon CloudWatch to monitor its overall IT environment. D-Link Corporation, an international networking solutions provider, needed to launch its cloud-based service portal, mydlink, quickly and economically. By migrating to AWS, the company was able to build and deploy the portal in only six weeks, and estimates 30% faster service delivery to customers while reducing IT costs by roughly 50%. Needing a solution to host its Microsoft SharePoint solutions, Dole Food Company, chose AWS because of reliability and low cost. The company can launch a new SharePoint site in minutes on the AWS Cloud and has saved at $350,000 in operating expenses. General Electrics’s Business Integration Technologies Laboratory wanted to re-imagine the manufacturing process, but was limited by the speed at which traditional environments can design, test, and build systems. The company took advantage of AWS GovCloud (US) to develop a new manufacturing platform that connects a global network of people and machines in a secure, compliant, and distributed environment. GOL Airlines developed an Intranet system that can offer diverse entertainment options to passengers in flight. By combining an innovative concept with the technical expertise of AWS, the airline gained agility and faster time-to-market without the expense of on-premises equipment. Haven Power serves the electricity needs of business customers in the East of England. The company began using AWS for disaster recovery, and has since migrated its billing services and data warehouse to AWS. By using AWS, the company has seen response times drop from 500 milliseconds to 80 milliseconds and saved significant upfront capital expenditure by deciding not to upgrade its on-premise data center. Hearst Corporation is one of America’s largest diversified media companies with ownership of newspapers, magazines, television stations, and various other interests. The enterprise wanted to get out of the business of running IT infrastructure and is currently migrating 10 of its 29 global data centers to AWS. By using AWS instead of investing in traditional on-premises IT infrastructure, Hearst avoided a multimillion dollar investment and completed its IT infrastructure consolidation in one-fifth of the expected time. When Hess Corporation announced divestiture plans for its downstream businesses in March 2013, the IT department decided to migrate the associated infrastructure in a way that would completely uncouple dependence from its on-premises datacenter. Working with APN partner, Nimbo, Hess leveraged AWS to prepare its Energy Marketing business for acquisition in only 6 months — a process that would have taken twice as long with an on-premises environment. Hi-Media is the Internet publisher of the Fotolog photo blogging website. Hi-Media rebuilt the site and moved it to AWS where it can easily scale to meet the demands of Fotolog’s 32 million global users who have collectively posted 1 billion photos and 10 billion comments. Hitachi is a multinational conglomerate that helps enterprises manage their hybrid cloud infrastructure running on AWS with services such as IT consulting, architecting and development services, technical support, and SaaS enablement. Since 2013, Hitachi has trained more than 200 of its Solution Architects to improve how they support its customers' cloud deployments. As a result, Hitachi's Solution Architects can now be involved in more aspects of the company, including interacting with customers, being involved with sales cycles, and supporting expansion of the business. The Holiday Extras website (holidayextras.com) sells airport parking, hotels, travel insurance, and other travel add-ons. In order to deal with seasonal peaks and troughs, and to meet its goal of developing hassle-free customer technology, the company moved their infrastructure to AWS and reduced latency by 20%. Migrating to AWS in 2008 helped Hungama Digital Media Entertainment reduce IT costs and accelerate innovation and time-to-market. As more development teams migrated to AWS, Hungama turned to AWS Trusted Advisor to optimize its environment on AWS and reduced monthly costs by 33%. Impossible Software is using AWS to provide a scalable global platform that allows its customers to render hundreds of personalized videos per second. The company provides a web-based video-rendering service, so customers can produce videos to convey unique information or marketing messages to thousands of their own customers. Impossible Software uses AWS for its editing, rendering, and logging environments, taking advantage of services including Amazon EC2, Amazon S3, and Amazon DynamoDB. Infor is one of the world's leading providers of enterprise software solutions, offering SaaS solutions to more than 70,000 global customers. The company leverages the flexibility of Amazon Web Services to give customers a subscription-based delivery model that significantly reduces their upfront capital expenditures. J. Walter Thompson (JWT) is a global marketing communications company with more than 200 offices in over 90 countries. Working with APN partner, CTERA Networks, the company migrated its on-premises tape backup solution to AWS. JWT's Africa-Middle East Region reports 63% in cost reduction on its backup solution running on AWS. The Bio-Information System Laboratory (BISL) at KAIST is currently conducting CORUS research as part of the “bio-synergy research project,” a national policy research project run by the government. With the participation of the general public in the research, BISL is using AWS AutoScaling to respond to the influx of massive amounts of information, and AWS EMR to analyze large quantities of data. LafargeHolcim is the world leader in building materials that neeed high peformance for its active corporate website and 22 country websites. Using AWS gives LafargeHolcim the elasticity to instantaneously add or remove instances in order to manage website load during peak periods. When Mahindra Satyam needed a way to share and manage documents for one of its clients, a top three global pharmaceutical company, it turned to AWS for a solution. Using various AWS products and services, including Amazon EC2, Mahindra Satyam delivers a secure, reliable, and effective result. MAPFRE is the largest insurance seller in Spain and Latin America. The company saved €1.3 million in infrastructure costs and reduced development time from weeks to days by switching to Amazon Web Services from an on-premises solution. As its digital publishing business grew, MPS Technologies began to look for a secure and cost-effective way to grow its infrastructure. By using AWS, MPS is able to implement a high level of security, consistent with its on-premise environment, and the company projects a reduction of $450,000 in capital expenditures over a three-year period. NRE is a centralized online source of rail information in the UK, accessed by travelers all over the country. By using AWS, NRE reduced costs by 20% and eliminated unnecessary infrastructure while providing consistent service to users, even with loads up to 60% higher than normal. News UK is one of Britain’s largest news organizations, publishing 2.4 million newspapers every day. The company migrated some of its enterprise applications including SAP Business Objects, SAP GRC, and Oracle Enterprise Manager from traditional data centers to AWS. By using AWS, the publisher has shortened its time to market for new development projects from 6 months to 1 day and reduced its data center footprint from six to two facilities. NTT DOCOMO, a leading mobile phone operator in Japan, experienced large traffic spikes in its mobile network service. Working with AWS Support, Enterprise-level, the mobile operator used the AWS Cloud to create a fast and agile development process and build a scalable voice recognition architecture able to serve over 60 million customers. Based in Turkey, gaming company Peak Games has 30 million monthly active players across Turkey, Middle East, and North Africa. By using AWS, the company has lowered provisioning time from 4-6 hours to 10 minutes, and reduced operational costs. Philips is a Dutch diversified technology company with sales and services available in more than 100 countries. The company’s U.S. healthcare division used Attunity CloudBeam, available on the AWS Marketplace, to upload 37 million records from an on-premises database to the AWS Cloud in just 90 minutes. By hosting its data on AWS, Philips can optimize any size data set within two hours, allowing its consultants and analysts to provide solutions quickly to its customers. Ramco Systems provides cloud-based enterprise solutions to more than 150,000 users in over 35 countries. By leveraging AWS, Ramco can improve server-provisioning time for customers by more than 80%, while reducing both its capital and operating expenditures by more than 40% compared to its on-premise data center. Amazon Elastic MapReduce and Cascading lets Razorfish focus on application development without having to worry about time-consuming set-up, management, or tuning of Hadoop clusters or the compute capacity upon which they sit. Start-up financial services company rplan provides its customers with tools to help achieve financial goals. Building its infrastructure based on AWS has enabled rplan to contain costs, maintain a high level of performance, and support a growing user base. The S&P Capital IQ platform combines deep global company information and market research with powerful tools for fundamental analysis, idea generation, and workflow management. It provides easy access to both real-time and historical information on companies, markets, transactions, and people worldwide. The S&P data science team saves time and money by using the AWS Cloud to build intelligent analytics for the platform, taking advantage of AWS, including Amazon EMR and Amazon S3. 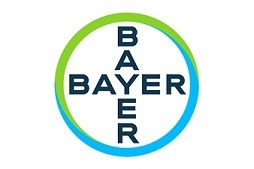 The Professional Services team at Sage Software in Germany often spent hours configuring local virtual machines before meeting with customers. Sage Software used AWS to develop a cloud infrastructure that saves the team an estimated 500 hours per year of server configuration time, resulting in faster access to their training and consulting systems. Seaco Global Ltd. is the world’s largest sea container leasing company, with more than $6 billion in assets. The company moved its daily business management software—including SAP Business Suite and SAP Solution Manager—from traditional data centers in the UK to AWS. As a result, the company cut its IT hosting and maintenance costs by 50 percent, dramatically improved performance of its SAP applications, and reduced the time it takes to complete its monthly billing process by 75 percent. Singapore Post started as the traditional mail carrier for Singapore and diversified to become a large e-commerce solutions provider through its SP eCommerce division. The company turned to AWS to build its e-commerce platform and website to support its customers operating in Asia. Using AWS, it has grown quickly to support more than 1,000 consumer brands and can effectively manage fluctuating demands during major retail seasons. SK Planet provides e-commerce, messaging, and location-based services to consumers. By using AWS, the company was able to expand globally with new data center operations that take just one or two days to establish—compared to as much as three months in the past—and has reduced related costs by up to 50 percent. TCL Communication wanted to introduce a new firmware update service, FOTA, to allow mobile phone users in more than 100 countries to upgrade their phones using the Internet. By using AWS, the China-based company is able to deliver FOTA to customers at near 100 percent availability, and at 10 times less the cost of a traditional data center. Ticketmaster, North America’s top online venue for ticket sales and distribution, uses AWS pay-as-you-go pricing to reduce fixed costs by more than 80% annually. Totaljobs Group is one of the largest and fastest-growing online job board providers in the United Kingdom. Totaljobs Group estimates that its recent move to AWS will reduce hosting costs by $500,000 per year. Tradeworx, a financial technology company based in New Jersey, needed to help the SEC police market events such as the May 6, 2010 Flash Crash. By using AWS, Tradeworx was able to design an analytics platform that allows the SEC to reconstruct years of market data and analyze more than 3 billion data points in 2.8 seconds. United Daily News Group (udn tv) decided to implement an online news video service to meet the changing needs of its audience. Using AWS, udn tv was able to deploy the service in two months and scale to support a 10x growth in viewer numbers. Willbros Group is a global contractor specializing in energy infrastructure and serving the oil, gas, and power industries. The company uses AWS to run its business applications, including Microsoft Office and Integra Link, a custom collaboration and analytics solution for managing pipeline integrity. Using AWS has enabled Willbros to bring projects to market 80 percent faster and scale compute resources on demand. Digital ad technology company ZEDO offers products and services that help publishers sell and deliver Internet ads. By migrating to AWS, ZEDO has improved ad delivery times by almost 50% and reduced its operating costs by 40%. 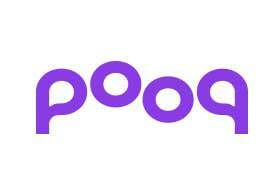 Content Alliance Platform (CAP) is the only content provider in Korea that provides real-time, cloud-based broadcasting and on-air video on demand (VOD) through the over-the-top (OTT) service POOQ. The company provides various VOD services and programs from the top three Korean broadcasting stations to more than 600,000 paying subscribers. AWS's Auto Scaling and Scheduled Scaling features let CAP react to rapidly changing traffic easily and cost-effectively. By migrating SAP HANA workloads to the AWS Cloud, Ayala Land has seen an increase in performance by as much as 40 percent, and it projects a 24 percent cost savings over the next 5 years compared to running SAP HANA on premises. Ayala Land is a leading real-estate company with residential and commercial holdings throughout the Philippines. The enterprise uses Amazon EC2 to run its SAP HANA application and Amazon EBS as primary storage for all Amazon EC2 instances. Ayala Land facilitates automation and scripting with AWS Lambda and Amazon CloudWatch, and it strengthens system security using AWS Identity and Access Management. Banyan Tree chose AWS to reduce latency and scalability of its websites, which receive two millions visitors annually, and reduced its time to market from one month to less than one week. Banyan Tree is a luxury hotel company that owns and manages luxury hotels around the globe. It uses Amazon Elastic Compute Cloud (Amazon EC2), Amazon Simple Storage Service (Amazon S3), Auto Scaling, and Amazon Virtual Private Cloud (Amazon VPC). Be Software cut costs 50 percent and more easily enters new geographic markets as a result of moving to AWS. Be Software provides simple, user-friendly SaaS applications for medical-case management and employment services. The company uses Amazon EC2 instances to host and run its customer-facing SaaS applications and takes advantage of Amazon EFS to optimize its processing and volume-storage needs. By using AWS, Blesh reduces its latency by up to 90 percent, enabling its airline clients to send flight tracking information to passengers in real time. The Blesh beacon technology and analytics platform is the largest in Turkey, boasting more than 100,000 sensors that over 250 brands utilize to inform their customers of upcoming offers and information. The company has been able to sort and analyze ever-increasing amounts of sensor data by using AWS services such as Amazon Redshift. BYJU’S uses AWS to deliver interactive learning content to more than 15 million students, gain deeper data analytics, and create innovative new products. The company provides online learning through a website and mobile app, reaching more than 900,000 subscribers globally. BYJU’S runs its primary website and several mobile apps on the AWS Cloud, and uses Amazon Redshift for data analytics. Capital One trained contact-center associates in 30 minutes and achieved 100 percent adoption in five months using Amazon Connect. Capital One is one of the largest banks in the United States and offers credit cards, checking and savings accounts, auto loans, rewards, and online banking services for consumers and businesses. The flexibility of Amazon Connect allows the company to add new features in weeks instead of the three to six months required by its previous solution. Using AWS, Capital One cut the time needed to build new application infrastructure by more than 99 percent. Capital One is one of the largest banks in the United States and offers credit cards, checking and savings accounts, auto loans, rewards, and online banking services for consumers and businesses. Using the virtually instantaneous infrastructure available on AWS, the company's DevOps teams can start developing new products immediately. By providing its employees with training about cloud technology and the ability to gain AWS certifications, Capital One is attracting and retaining top talent. Capital One is one of the largest banks in the United States and offers credit cards, checking and savings accounts, auto loans, rewards, and online banking services for consumers and businesses. Celgene uses AWS to enable secure collaboration between internal and external researchers, allow individual scientists to launch hundreds or even thousands of compute nodes, and reduce the time it takes to do computational jobs from weeks to hours. Celgene is a global biopharmaceutical company that creates drugs that fight cancer and other diseases and disorders. Celgene runs its high-performance-computing research clusters, as well as its research collaboration environment, on AWS. Celsa Group uses AWS to gain competitive advantage in the steel manufacturing industry through fast, cost-effective IT provisioning. Founded 50 years ago, the family-run firm produces steel products from recycled materials. Celsa Group uses AWS technologies, including Amazon EC2, Amazon RDS, and Amazon Route 53 to run business and industrial applications, as well as its development and test environments. Clever delivers educational software to 65,000 schools—almost half of all US public schools—meets comprehensive data-security requirements, and complies with data-protection regulations using AWS. The company provides software that schools use to keep educational applications rostered and updated. Clever runs its software on AWS and takes advantage of AWS services to meet the highest security and compliance requirements. Comcast, the world's largest cable company and the leading U.S. provider of high-speed Internet and voice services, uses AWS in a hybrid environment to innovate and deploy features for its flagship video product, XFINITY X1, several times a week instead of once every 12-18 months under its old architecture. Creative Market moved mission-critical files onto the AWS Cloud, simplifying operations and maintenance and moving closer to its strategic goal of increasing file-size limits for user uploads. Creative Market is a platform on which independent creatives sell digital assets like graphics, templates, and fonts in their online shops. The company stores 1.3 TB of user-uploaded images on a solution that uses Amazon EFS and Amazon S3. 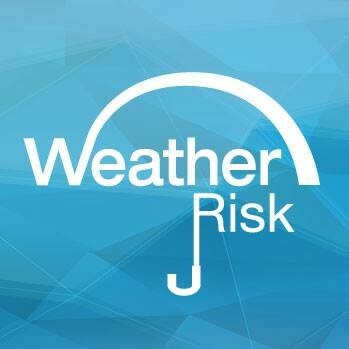 CSRA migrated more than 40 critical business applications to the cloud in just four months as a result of a spinoff and merger, met its customers’ data protection and regulatory compliance needs, and gained flexibility and agility by using AWS GovCloud (US). CSRA is one of the largest providers of next-generation IT services to US government agencies. The company was formed from the merger of the US Government Services business of CSC and SRA International in November 2015. It currently runs a growing number of customer-facing and internal applications on AWS GovCloud (US). DBS Bank is using AWS to transform its business, reach scale, and better serve its customers. DBS Bank is a multinational banking and financial-services corporation heaquarted in Marina Bay, Singapore. The company plans to move all of its public web assets—which support 50 percent of customer traffic and internet-banking workloads—to AWS in the coming years. The organization is also experimenting with AWS Lambda, machine learning, grid computing, and data-analytics workloads as part of its digitial-transformation journey. Deltek saves a significant amount annually in licensing costs, scales quickly to support fast business growth, and stays compliant with regulatory requirements by using AWS. The company offers business software solutions to 22,000 project-based businesses worldwide. Deltek runs its customer-facing SaaS business on the AWS Cloud and takes advantage of Amazon EC2 Dedicated Instances and Amazon EC2 Dedicated Hosts to reduce licensing costs and stay in license compliance with Microsoft. DevFactory reduces operating costs by up to 65 percent, invests more into new business growth, and migrates customers up to 60 percent faster using AWS. The Dubai-based software and services provider acquires software companies and optimizes their businesses. DevFactory hosts customer business applications on AWS, speeds the migration of new customers using AWS Import/Export Snowball, and supports additional customer applications with Amazon RDS for Aurora. Using AWS Snowmobile, DigitalGlobe is able to deliver petabytes of data in weeks instead of months while saving on costs, allowing the company to deliver data to its customers in the shortest possible amount of time. DigitalGlobe is one of the world’s leading providers of high-resolution Earth imagery, data and analysis. The company uses AWS Snowmobile to move up to 70 petabytes of archive data to the cloud, allowing it to move away from large file transfer protocols and delivery workflows. DoHome operates as a retail and wholesale store, carrying a wide variety of construction materials, home improvements and home decorations products across Thailand. The company had first deployed their eCommerce system on AWS, enjoying a secured and scalable environment, and server runtime of 24/7 before deciding to move their SAP S/4 HANA system on AWS. Utilizing services such as Amazon S3, Amazon EC2, Amazon RDS, Amazon VPC and the best practices have helped reduce DoHome's go-to-market time and improved availability to better serve their customers. 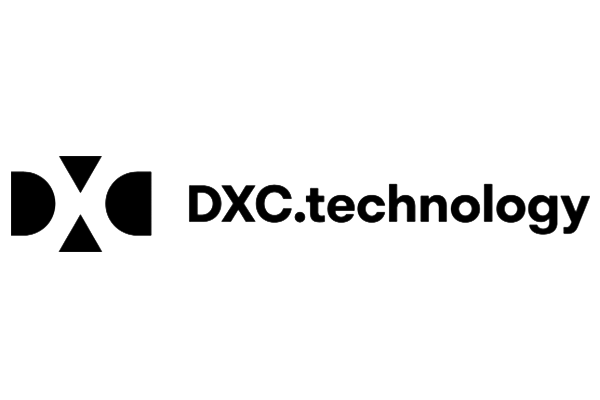 DXC Technology uses AWS to cut provisioning time from three months to one week, automate software patching, reduce costs by two-thirds, and ensure high availability and reliability. The organization provides IT solutions and services to thousands of enterprises across the globe. DXC uses AWS CloudFormation templates to automatically deploy development environments, and relies on Amazon EC2 Systems Manager to automatically apply software patches to internal and external applications. By using AWS, Dynatrace created a “NoOps” IT architecture in 80 days, gaining the agility to launch its software as a service. The firm provides digital performance management solutions to medium and large businesses. It works across multiple AWS Regions to serve its global customer base, and uses services including Auto Scaling, Amazon EC2, and Amazon RDS to increase automation and minimize management. Edmunds uses Amazon Macie to gain better visibility into data, and identify access violations more effectively. Edmunds is a leading network for car shopping and information, helping millions of shoppers every month find their perfect car. The company uses Amazon Macie to get visibility into data stored on Amazon S3 and to classify data usage. Through its use of AWS, Edmunds.com has developed a highly scalable infrastructure for its entire technology stack while significantly reducing its operating costs. The company operates a car-buying website that is visited by 20 million people each month. Edmunds.com hosts its website and back-end systems on AWS, employs Amazon Redshift as its data warehouse, and uses AWS CodeCommit as its source control service. Expedia takes advantage of the AWS global infrastructure to reduce network latency, improve time-to-market, and create a standardized platform that enables continuous innovation. Expedia is a leading online travel company for leisure and business travelers that maintains websites worldwide to offer localized content to customers. Using AWS to run Kubernetes, Fairfax Media has reduced its computing costs by five times and saved many developer hours. Fairfax Media is one of Australia’s largest news organizations, with mastheads such as The Age. The enterprise uses Amazon RDS to host PostgreSQL databases, Amazon EC2 to run Kubernetes nodes, and Amazon Kinesis for analytics. Fanatics uses the AWS Cloud to get real-time insights into customer behavior and buying patterns, to quickly analyze 100 terabytes of analytical data from multiple sources, and to reduce operational costs. Based in Florida, the company is a leading online retailer of licensed sports apparel and merchandise. Fanatics runs a cloud data lake for analytics based on AWS and the Attunity CloudBeam data ingestion and migration solution. FantasyDraft gains high availability and consistent performance for its website, increases its ability to scale to support traffic spikes and cut costs by 50 percent by using AWS. The company is a fantasy sports website that hosts daily contests for fans of all major sports. FantasyDraft supports its primary fantasy sports platform on AWS, hosts a dev and test environment on AWS, and uses a load-testing instance that can easily be spun up and down as needed. 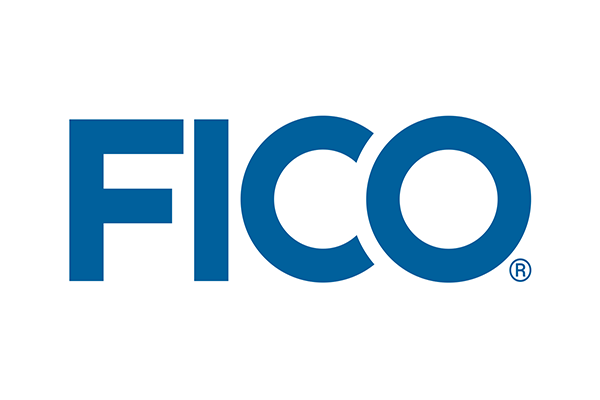 FICO uses AWS to unlock innovation, deploy software in a day instead of weeks, ensure compliance, and cut costs. The company provides predictive analytics and decision management software solutions to financial services institutions worldwide. FICO runs its Decision Management Suite on AWS Lambda and other AWS services. FIGmd demonstrates compliance with healthcare industry regulations, gives healthcare organizations confidence their data is protected, and differentiates its business by using AWS and earning EHNAC cloud accreditation. The company offers clinical-data registries and other solutions to a range of healthcare organizations throughout the United States. FIGmd runs its clinical-data registries on the AWS Cloud. Financial Engines is using AWS to reduce infrastructure costs by more than 90 percent and gain immense scalability. The largest independent investment advisor in the United States, Financial Engines offers technology-enabled portfolio-management services, financial planning, and investment guidance to more than nine million people nationwide. The firm runs its core computational engine on a serverless architecture using AWS Lambda. Foreks wanted to reduce time to market and management overheads for its financial market data services. It has gone all-in on AWS, moving many services to serverless architectures, automating deployments, and building a DevOps culture. This provides many benefits, reducing the deployment time from weeks to minutes, and saving up to 75% on infrastructure costs. In just two years, GE Appliances shifted to a DevOps approach, adopted a cloud-only policy, and achieved total visibility into its hybrid infrastructure by using AWS Management Tools and other AWS solutions. The company has been making appliances for more than 125 years. GE Appliances uses Amazon EC2 Systems Manager, AWS CloudTrail, and AWS Config to gain total, real-time visibility into its hybrid infrastructure, automate response scenarios, and eliminate manual security processes. Geodata stores millions of aerial map images, lowers storage costs by more than 70 percent, and scales to support future website growth using the AWS Cloud. The company provides mapping software and services to customers throughout Norway. Geodata runs the official Norwegian aerial image archive and distribution solution on AWS. By migrating the database for a key workload out of Oracle and onto the AWS Cloud, Globe Telecom has freed up 20 processors and 40 cores and will save $1 million in licensing fees. Globe Telecom is the leading provider of mobile and broadband services in the Philippines. The enterprise now runs open-source PostgreSQL using Amazon EC2. Globe Telecom is a major provider of telecommunications services in the Philippines, operating one of the largest mobile, fixed line and broadband networks in the country with close to 60 million customers. Globe aims to provide superior customer experience in using AWS for its web portal, content registration platforms, online store and self-service apps, which have seen huge uptake in application performance. Globe uses services such as Amazon EC2, Amazon RDS and AWS Lambda for its daily business workloads and processes, and have enjoyed tremendous savings of close to USD 2 million since. GoPro containerized its microservices architecture for GoPro Plus using Amazon Elastic Container Service and Docker to increase server utilization, accelerate innovation, and improve scalability. GoPro Plus helps people share photos and videos of meaningful experiences with rugged, user-friendly cameras and related products and services. GoPro’s engineering team replaced a third-party process-management solution with Docker containers running on Amazon ECS, which simplified cluster management, ensured deployment consistency, and enabled the team to deliver features to customers faster. Guardian News and Media, publisher of The Guardian, increased the velocity of releases for its digital properties from 25 in 2012 to 40,000 in 2015 by using AWS. The London-based company is a global media organization that published its first newspaper in the UK more than 200 years ago. It uses a wide range of AWS services, including Amazon Kinesis and Amazon Redshift that power an analytics dashboard, which editors use to see how stories are trending in real time. GulfMark Offshore uses AWS to save $25,000 a month in operating costs, scale business applications up or down on demand, and ensure reliability and high availability for its critical SAP environment. The global energy services company operates and manages more than 70 oil and gas industry support vessels. GulfMark runs dozens of SAP applications on AWS and is in the process of migrating additional applications to the AWS cloud. Hightail moved multiple petabytes of customer data to AWS, enabling the company to improve performance by up to 17 times and cut the time to deploy to new regions from 24 weeks to 2 weeks. Hightail enables teams of marketers, creatives, external agencies, and freelancers to collaborate on visual content, accelerating creative review and approval cycles with intuitive and accessible tools. The company uses Amazon S3 as its storage solution, removing the need to manage infrastructure and allowing it to focus on developing innovative customer experiences. IAC Publishing competes more effectively, deploys code four to six times per day instead of every four to six weeks, and saves $15 million annually by moving more than 50 websites to AWS. The company manages and maintains popular websites such as The Daily Beast, Dotdash, and Dictionary.com. IAC Publishing moved more than 50 popular web properties —including five of the top 400 web properties on the Internet—as well as its entire software-development pipeline to AWS. Using AWS, InCred can securely store vast amounts of financial data and rapidly introduce new lending products to an expanding customer base with development times as short as two weeks. InCred is a diversified financial services group that provides secured and unsecured loans to individuals and small businesses in India. The company uses Amazon EC2 for core computing, Amazon DynamoDB to capture unstructured loan data, and AWS Lambda as a streaming engine on Amazon DynamoDB. It also uses Amazon S3 and Amazon CloudFront to deploy the front end of its system for customer access. Infor saves 75 percent on monthly database-backup costs, completes application backups 30 percent faster, and keeps pace with global business growth by going all in on AWS. The organization provides enterprise resource planning and other software solutions to a range of enterprises worldwide. Infor runs more than 30 customer-facing applications on the AWS Cloud. Nhung Ho, Head of Data Science at Intuit Quickbooks, discusses how the financial and tax-preparation software company uses AWS to better serve its customers. Intuit is all in on AWS and uses Amazon SageMaker to train its machine-learning models quickly and at scale, cutting the time needed to deploy the models by 90 percent. Intuit Mint uses AWS to automatically scale to support a 200 percent increase in website traffic, reduce operating costs by 25 percent, and boost website availability and developers’ speed and efficiency. Mint is a free online service that consumers can use to manage personal finances and track and pay bills in a single location. The company runs its Mint.com website on the AWS Cloud. KENT has cut the IT spend on its IT Infrastructure and cloud services by 10 percent by migrating to AWS. The company provides technologically advanced healthcare products ranging from purifiers to water softeners in India. Today, KENT runs its CRM and other business critical applications on Amazon EC2 instances. The company is also using Amazon Device Farm to drive the development of multiple customer-facing apps. LTI is running SAP S/4HANA on the highly agile AWS Cloud, enabling the company to scale the environment in minutes when it used to take weeks to scale the company’s former on-premises environments. LTI provides IT consulting and digital services to companies in 27 countries. It runs SAP S/4HANA on the AWS Cloud using Amazon EC2 instances to support the applications and database, Amazon EBS for storage, Amazon S3 for backups, and AWS Lambda for optimization. LexisNexis Legal & Professional supports more than 2 billion searchable documents, including legal information and news content, cuts server deployment time from several weeks to hours and gains stronger database performance by using AWS. The organization provides legal research and other services to a worldwide subscriber base. LexisNexis runs its News Archive search service in the AWS cloud. Using AWS, Librato reduced database latencies by up to 500 milliseconds, cut operational costs by 35 percent, and lowered database recovery times to minutes instead of hours. The company offers a cloud-based monitoring platform its customers use to collect, visualize, and store streaming application data. Librato runs its cloud-monitoring platform on AWS, supporting hundreds of Cassandra database instances on Amazon EBS volumes. Lockheed Martin quickly migrated its SAP Suite on HANA to the AWS Cloud, gaining business agility and cost savings and ensuring compliance with key industry data protection regulations. The organization is a developer of aerospace and defense systems for the U.S. military and global U.S. allies. Lockheed Martin is running its SAP Suite on HANA on AWS for test and development workloads, utilizing Amazon EC2 X1 instance types for strong system performance. The Louisiana Department of Public Safety and Corrections enables lab-based educational and vocational training using the ATLO Software system for thousands of inmates at four correctional facilities using AWS. The department manages nine correctional facilities across the state. It uses Amazon WorkSpaces within an Amazon Virtual Private Cloud environment to provide a secured learning environment for inmates. Macmillan Learning can scale its Launchpad digital-learning application to support three times the number of users, scale up or down as needed, and release new application features faster by going all in on AWS. The organization provides print and digital educational tools for teachers and learners globally. Macmillan Learning worked with AWS Partner Relus to migrate Launchpad to the AWS Cloud. Matillion is able to process data up to 100X faster than traditional ETL/ELT tools by using Amazon Redshift. Matillion is a cloud analytics software vendor based in London, UK. Matillion ETL is a modern ETL/ELT tool built specifically for Amazon Redshift and is delivered as an Amazon Machine Image on the AWS Marketplace. By incorporating Amazon EC2 Spot Instances into its hybrid architecture, Mercado Libre reduced its monthly infrastructure costs by 31 percent. Mercado Libre, an e-commerce platform in Latin America, serves more than 200 million users in 18 countries. The company shifted about 8,000 Amazon EC2 Reserved and On-Demand Instances to Spot Instances and automates provisioning decisions with an internally built application that includes Amazon Athena. Mikros Image produces animations in under 20 months, spins up 2,000 nodes in less than two minutes, and iterates three times faster using AWS. The company is a visual-effects and animation studio that produces feature films and television shows worldwide. Mikros used the AWS Cloud to support its animation-rendering work for the feature film Sherlock Gnomes. Using AWS, Mitsui Coal Holdings ensures 99.99 percent uptime for its SAP S/4HANA environment and delivers key performance indicator reports in seconds. Mitsui Coal Holdings invests in joint-venture coal mining projects across Australia. The company is running its SAP S/4HANA installation on Amazon EC2 instances, which support the system’s database and applications, and uses Amazon S3 to store files and backups. Using AWS, Morningstar quickly deployed an application to help customers choose investment products that comply with the new Department of Labor fiduciary rule. Morningstar is a global provider of independent investment research, products, and services. It uses AWS Elastic Beanstalk to host .NET APIs and relies on Amazon VPC for secure connectivity to company databases while retaining the agility to innovate. The San Francisco Bay Area’s Metropolitan Transportation Commission (MTC) delivers up-to-date online traveler information to tens of thousands of commuters daily, scales to support thousands of additional website users each day, and significantly lowers costs using AWS. MTC’s free 511.org website provides travelers with up-to-the-minute and around-the-clock information about transit, bicycle trips, directions, driving times, traffic conditions, carpool information, parking options, and more. Multiview Financial Software uses AWS to deliver its ERP solution as a SaaS application, avoid years of development and millions of dollars in costs, and reach more customers. The organization provides financial management software used by enterprises in more than 40 industries. Multiview relies on Amazon AppStream 2.0 to deliver a browser-based version of its primary financial management application. Using AWS, MYOB scales its infrastructure to support demand for new services and saves up to 30 percent by shutting down unused capacity and using Reserved Amazon EC2 Instances. MYOB provides business management software to about 1.2 million organizations in Australia and New Zealand. MYOB uses a wide range of AWS services, including Amazon Machine Learning, to build smart applications incorporating predictive analytics and AWS CloudFormation scripts to create new AWS environments in the event of a disaster. National Geographic Partners (NGP) used a serverless architecture for an app that provides personalized access to its 130-year, multichannel content catalog. NGP, a joint venture between National Geographic and 21st Century Fox, provides premium science, adventure, and exploration content across a huge portfolio of media assets. The National Geographic App uses AWS Lambda, Amazon Rekognition, and Amazon CloudSearch to build user profiles, automatically tag images, and serve refreshed, engaging content each time a user visits. NetSeer reduces costs, improves the reliability of its real-time ad-bidding cluster, and delivers 100-millisecond response times using AWS. The company offers online solutions that help advertisers and publishers match search queries and web content to relevant ads. NetSeer runs its bidding cluster on AWS, taking advantage of Amazon EC2 Spot Fleet Instances. AWS enables Newforma to scale its project information management (PIM) solution to meet global growth, deploy software updates in weeks instead of months, and ensure strong security and high availability. The company offers PIM solutions to architecture, engineering, and construction customers throughout the world. Newforma runs its cloud-hosted products and features on the AWS Cloud. NTUC Link is part of the NTUC (National Trades Union Congress) social enterprise and primarily focuses on the loyalty business in Singapore, with close to 2 million members. Its programs include LinkPoints and Plus!, which enables members to use points for shopping and purchasing goods. Using AWS services such as Amazon Redshift, Amazon RDS, Amazon EC2 and Amazon S3 to support its data and analytics pipeline, it has been able to provide insights to merchants and customers much quicker than before, which helps its merchants deliver better personalized services to their customers. By running on AWS, NTUC Link enjoys a faster time to market for its new products and features releases. Olympusat uses AWS to support its microservices architecture, saving $25,000 a month by eliminating the use of similar, more expensive services. Olympusat is a large independent media company specializing in Spanish-language movie, music, and entertainment television channels. Olympusat supports its architecture using services such as AWS Lambda, Amazon API Gateway, Amazon Simple Notification Service, Amazon Simple Queue Service, and Amazon DynamoDB to deliver its over-the-top platform. OneFi uses AWS to innovate faster, disburse 1,500 loans a day instead of 500 a week, and to stay compliant with GDPR and other industry regulations. The company provides loans to small businesses in Nigeria and other African countries. OneFi runs its key mobile app, Paylater, on the AWS Cloud and takes advantage of Amazon Rekognition to offer image detection and automated identity verification capabilities. Pacific Inter-Link, one of the leading MME (Manufacturer – Marketer – Exporter) organisations in Malaysia, has a global workforce of nearly 7,000 and is primarily focused on the export of commodities, consumer goods and services from Malaysia and the Far East to Global Markets. Using AWS for its deployment of SAP workloads, Pacific Inter-Link has enjoyed a significant reduction in infrastructure spend together with quicker deployments and automation improvements for their daily workloads. In addition, using AWS services such as AWS CloudTrail, Amazon CloudWatch and AWS Lambda have resulted in excellent utilization of AWS infrastructure and substantial savings which is expected to accrue over the next 3 years. Amazon.com migrated a service that supports Prime Video from Oracle to Amazon Web Services to increase elasticity and reliability while reducing cost. Prime Video is the video-streaming service from Amazon, the world’s leading online retailer. Amazon moved billions of rows of data to Amazon DynamoDB with zero downtime. Rabbi Interactive scales to support a live-broadcast, second-screen app and voting system for hundreds of thousands of users, gives home television viewers real-time interactive capabilities, and reduces monthly operating costs by 60 percent by using AWS. Based in Israel, the company provides digital experiences such as second-screen apps used to interact with popular television shows such as “Rising Star” and “Big Brother.” Rabbi Interactive worked with AWS partner CloudZone to develop an interactive second-screen platform. Rackspace modernized its contact center using Amazon Connect, enabling it to easily optimize call flows without specialized engineering skills. 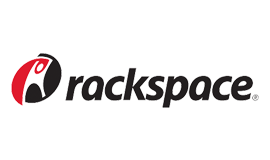 Rackspace is one of the world’s largest IT managed-services providers. The company uses Amazon Connect as its contact center, Amazon Kinesis and Amazon Redshift for data ingestion and warehousing, and Amazon CloudWatch to monitor call characteristics. By using AWS, Razorpay completes data migration with less than four minutes’ downtime and minimizes disruption to merchants using its online-payment gateway. Founded in 2015 and headquartered in Bangalore, India, Razorpay’s payment-gateway services are used by more than 30,000 merchants. The business is using a range of AWS services, including Auto Scaling to automate the process of scaling and Amazon EC2 instances to support peaks and troughs in demand. Realtor.com uses AWS to support 50 million monthly website visitors, process tens of millions of ad impressions per day, and enable a DevOps development model. The organization runs a popular online real estate listing website that provides millions of for-sale listings and other information for buyers, sellers, and renters. Realtor.com runs its ad impression platform, website, and other solutions on AWS. Reckon achieves 99.999 percent availability and scales to support traffic surge now that its online and hosted accounting solution is running on AWS. Reckon provides accounting software for small to midsize businesses, and practice-management software for larger accounting practices in Australia and New Zealand. To meet customers’ expectations, the business uses AWS services such as Auto Scaling to support spikes in traffic, and AWS Elastic Beanstalk to manage tasks such as capacity provisioning and load balancing. Rent-A-Center (RAC) uses AWS to manage its new e-commerce website, scale to support a 1,000 percent spike in site traffic, and enable a DevOps approach. RAC is a leading renter of furniture, appliances, and electronics to customers in the United States, Canada, Puerto Rico, and Mexico. The company runs its e-commerce website on the AWS Cloud. Samsung Heavy Industries (SHI) has launched its SmartShip platform three months faster running on AWS than on-premises. SHI is a leader in maritime technology and shipbuilding. It uses such AWS services as Amazon EC2, Amazon RDS, Amazon S3, Amazon CloudTrail, Amazon Elasticsearch Service, and Amazon VPC. Lifting and shifting its website from dedicated hosting to AWS helped Seeking Alpha beat a six-month deadline, move from a maintenance to a DevOps mindset, and eliminate most production issues. Seeking Alpha provides a platform on which more than 15,000 investment analysts earn money by publishing their own independent investment news and analysis for an audience of millions. The Seeking Alpha solution includes on-demand Amazon EC2 instances to absorb traffic spikes and Amazon S3 for storing content and backups. ShootProof relies on AWS to deliver photos to photographers five times faster, improve the customer experience, and focus more on developing new features. The company is an online marketplace used by tens of thousands of photographers monthly. ShootProof uses Amazon EFS for fully managed, centralized file storage for its digital media packaging workflow system. Software AG, an AWS Partner Network Technology Partner, has increased its operational efficiency and has been able to pursue a number of joint go-to-market opportunities by deciding to go all-in on AWS. Software AG offers the first end-to-end digital business platform—based on open standards, with integration, process management, adaptive application development, real-time analytics and enterprise architecture management as core building blocks—to help customers build digital futures today. Software AG also participates in the AWS SaaS Partner Program. Sony DADC New Media Solutions has been able to elastically scale its infrastructure and automate workflows, making linear broadcast content available as a video-on-demand (VoD) streaming content. Under its Ven.ue brand, Sony DaDC New Media Solutions (NMS) provides digital supply-chain solutions targeting major film studios, broadcasters, music labels, game companies, and other content providers. NMS started its move to AWS by migrating its Ven.ue distribution workflows, running on hundreds of Amazon EC2 instances, and is using Amazon S3 and Amazon Glacier to move its 20-petabyte video archive and Amazon CloudFront as its global content delivery network service to accelerate content delivery to customers. By using Amazon Elastic File System (Amazon EFS) to aggregate billions of records, Spokeo is able to render its web pages faster to rank higher on Google search. Spokeo, headquartered in Pasadena, California, is a website that enables users to search for people by first or last name, address, phone number, or social handles—or any combination of these identifiers. The company uses Amazon EFS along with Amazon EC2 and Amazon DynamoDB to aggregate and store 12 billion records, delivering web pages more quickly to users and web crawlers. Superior Group uses AWS to make SAP processes three times faster, scale its SAP environment to keep pace with new growth, and perform database failovers in minutes instead of days. The company provides a range of staffing and consulting services to organizations throughout the world. Superior Group runs its SAP ERP, PI, NetWeaver Gateway, and BusinessObjects systems in production on AWS. Tavisca Solutions has reduced the time required to bring new travel agencies onboard its hosted services—to three weeks from six months—using AWS. The company provides software platforms and solutions to the travel industry, enabling travel agencies to operate online. It uses Amazon ECS to provide containerized environments for individual agencies. Using AWS, TechnologyOne simplified its business model and is now able to move faster with more focus on the customer. TechnologyOne is an enterprise software company based in Australia. The company moved its IT environment from physical data centers and into the AWS cloud, eliminating the need to manage infrastructure. 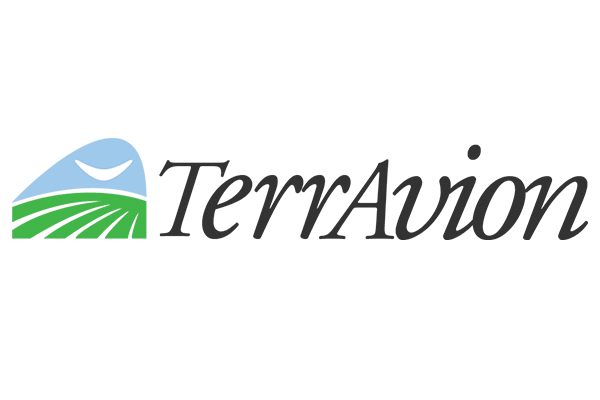 TerrAvion uses AWS to store and process aerial imagery, deliver images to agricultural customers overnight, and help farmers improve crop yields. The company is one of the largest providers of high-resolution aerial images by volume for farmers across the US and Brazil. TerrAvion runs its aerial-image data-processing application on Amazon EC2 and uses Amazon S3 and Amazon S3 Glacier to store multiple terabytes of images every day. Guardian News & Media (GNM) uses AWS to ensure on-time newspaper delivery by orchestrating workflows between multiple distributed systems, and to give developers more flexibility. The global media company publishes the Guardian and the Observer newspapers and manages other media brands. GNM relies on AWS Step Functions to automate key business workflows. TIBCO Simplr streamlined DevOps workflows, cut its server footprint by 40 percent, and decreased system response time to seconds by containerizing its suite of SaaS connectors using Amazon ECS. TIBCO Simplr makes it easy for nontechnical users to connect cloud applications, build online forms, and automate application workflows with an intuitive, cloud-based service. The TIBCO Simplr platform is architected as microservices running in Docker containers orchestrated by Amazon ECS across a cluster of Amazon EC2 instances. TLG Aerospace reduces computational fluid dynamics (CFD) simulation costs by 75 percent, scales aerodynamic simulations to more than a thousand cores, and gained online simulation metrics by using AWS. TLG is a growing aerospace engineering organization that conducts CFD analysis of aircraft for a worldwide customer base. The company runs simulations on AWS and uses Amazon CloudWatch to monitor CFD job progress online. Trainline maintained high-speed growth during a year-long migration to AWS, while improving agility, security, and availability. By transitioning to a microservices model, the development team at Trainline has been able to switch to continuous delivery, and do so four months ahead of target. It has gone from a six-week development cycle to pushing out more than 70 updates in one week. Using AWS, Travis Perkins plc is creating a continuous-development and -deployment cycle, supporting its businesses by increasing automation and boosting performance of mission-critical systems. The group, which operates 21 brands including home-improvement site Wickes, has supplied materials to the United Kingdom’s building and construction markets for more than 200 years. The firm uses AWS technologies including Amazon EC2 and Amazon RDS to run SAP Hybris environments for the group’s digital store fronts. Watch Pieter Jordaan, TUI’s director of IT engineering, discuss how the company is undergoing a digital transformation by migrating its on-premises data centers to the AWS Cloud using the AWS Migration Acceleration Program, and delivering richer, more personalized customer experiences through machine learning. Vancouver International Airport’s (YVR) Innovative Travel Solutions team uses AWS to provide high availability and security for its BORDERXPRESS Automated Passport Control solution and to easily scale the solution to accommodate expansion to new airports. YVR, one of the world’s busiest airports, is served by 55 airlines. The organization runs the solution on AWS, using multiple AWS Availability Zones for redundancy and taking advantage of AWS CloudFormation templates to refresh virtual servers and test images before sending them to production. Veracode gives developers fast feedback on security risks, scales to support tens of thousands of vulnerability scans, and gets new features to market faster using Amazon Web Services. Veracode offers cloud-based application-security services. The company runs its Greenlight security-scan application on AWS Lambda and Amazon API Gateway. Virgin Trains, a train operating company in the United Kingdom, improves customer experience through innovation by using AWS. The company fulfills train ticket purchases by using a decoupled AWS backend and an end-to-end process, from invoking the Amazon Alexa Skills, to payment with Amazon Pay, to getting a PDF ticket through Amazon Simple Email Service (SES). By running the DreamLab application on AWS, Vodafone Australia has been able to support almost 60,000 downloads of the app and expects the number to increase to more than 100,000 without impacting performance. DreamLab is an initiative by Vodafone Foundation Australia, which seeks ways for mobile technology to improve the health of Australians. The DreamLab application, built by b2cloud, aims to expedite cancer research at Garvan Institute of Medical Research. Voyager Innovations is a leading technology company in the Philippines focused on developing customer-centric, digital platforms, services and solutions for emerging markets in the areas of financial services, payments, and marketing technologies. Through its various products, it is enabling enterprises and consumers to participate in the New Economy. An AWS customer since 2014, Voyager Innovations now uses more than 50 AWS Services to constantly innovate and protect data. Voyager Innovations chose SAP HANA Enterprise Cloud on AWS in 2018 because of its quick availability, faster deployment, flexibility with the shortest path to production, built-in security frameworks and business continuity. By using AWS, Wipro enhances employee productivity by improving the response time of the company’s ticketing system by 50 percent while reducing operational overheads by 20 percent. Wipro is an information technology, consulting, and business process services company. Wipro migrated its on-premises ticketing system to AWS, and uses Amazon EC2 for powering the system’s software, and Elastic Load Balancing and Auto Scaling services to maximize performance during peak periods. Xilinx uses AWS to improve software-test turnaround time, help developers be more productive, and scale to meet compute demands. Xilinx is a provider of All Programmable FPGAs, SoCs, MPSoCs, and 3D ICs and software solutions to customers across the globe. The company runs its software-testing platform on an AWS high-performance computing cluster. Xrbia has seen reporting performance in SAP improve by 70 percent after migrating to the AWS Cloud. The company is a housing developer in India focused on building affordable homes for people who lack the means to buy homes at their current market value. Xrbia migrated its SAP environment from an on-premises infrastructure to AWS—where it uses Amazon EC2 instances to support its SAP applications and database, Amazon S3 for data storage, and Amazon EBS for incremental data backups. Using AWS, Yellow New Zealand drives development while scaling its products to support millions of searches without the expense of an on-premises IT infrastructure. Yellow New Zealand connects businesses with consumers across multiple platforms, including mobile. The company uses AWS CloudFormation to develop its product code and Amazon ECS to automate the release of new product features. Amazon Elasticsearch Service enables customers to quickly access details for business services, with Amazon ElastiCache helping frequently searched data appear more quickly. Zapproved uses AWS to process millions of legal documents per hour, support rapid business growth, and help customers deploy electronic discovery solutions in hours instead of months. The company provides cloud-based e-discovery applications that customers use to more easily and defensibly manage litigation response. Zapproved uses AWS Lambda to manage its Digital Discovery Pro data processing pipeline. Zendesk develops and trains deep-learning applications on AWS to deliver new capabilities to customer-service organizations and scale to support for current and future application demand. The company provides an online customer support platform used by more than 114,000 companies across the globe. Zendesk relies on AWS GPU instances and the TensorFlow deep-learning framework to create new applications for customers. Ávoris reduced the time to generate SAP reports by 50 percent when it migrated its mission-critical SAP environment to AWS with the support of Linke Information Technology, an AWS Partner Network (APN) Premier Consulting Partner. Ávoris, formerly Barceló Viajes, is a leading provider of tourism services in Spain. Ávoris uses Amazon EC2 instances for its SAP database and applications, and it relies on Amazon S3 for backups, which gives the business the scalability to grow.